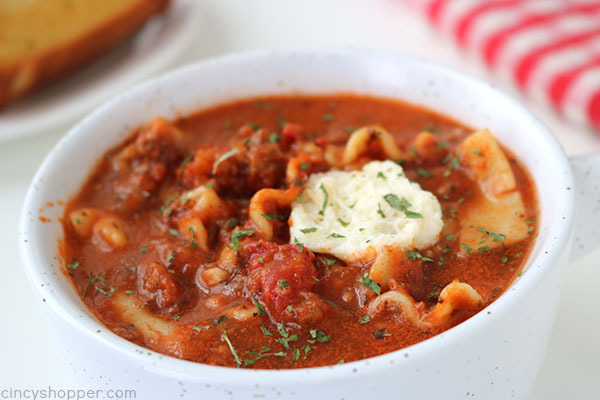 If you are fan of Lasagna, you are going to want to make this Easy Lasagna Soup. 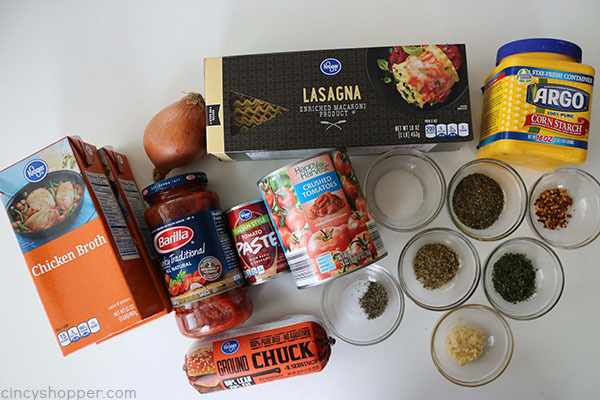 You will find all the great flavors of traditional lasagna right in a bowl. Perfect on a cold winter day! It is snowing and cold here today in Cincinnati. My kiddos actually had a snow day. It was nice to be able to sleep in this morning. We are spending the day at home with our pj’s and a couple of movies. 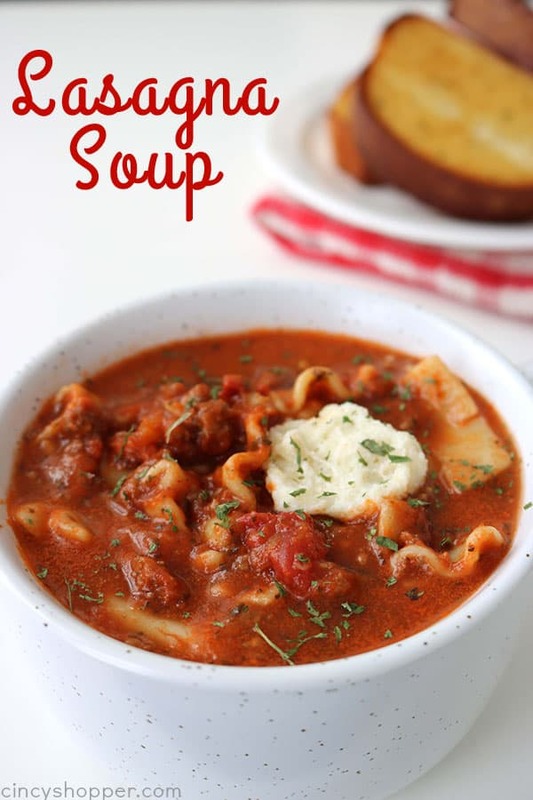 Since I knew the cold weather was on the way, I decided to make this delicious pot of Lasagna Soup yesterday. The soup is perfect for my family. Some of us love traditional lasagna with ricotta cheese and some of them really like mozzarella in their lasagna. 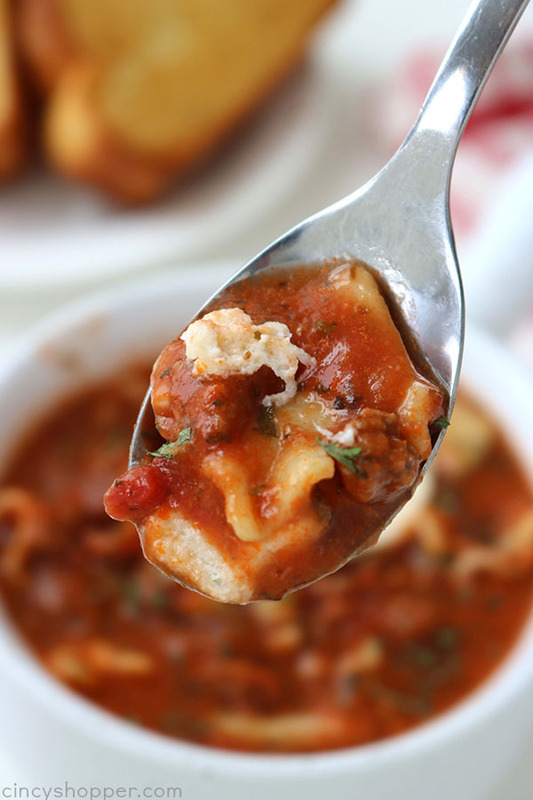 This soup allows each of us to enjoy lasagna the way we like it. I can make a big pot of this soup and dollop with ricotta or load on the mozzarella for the non ricotta cheese fans. 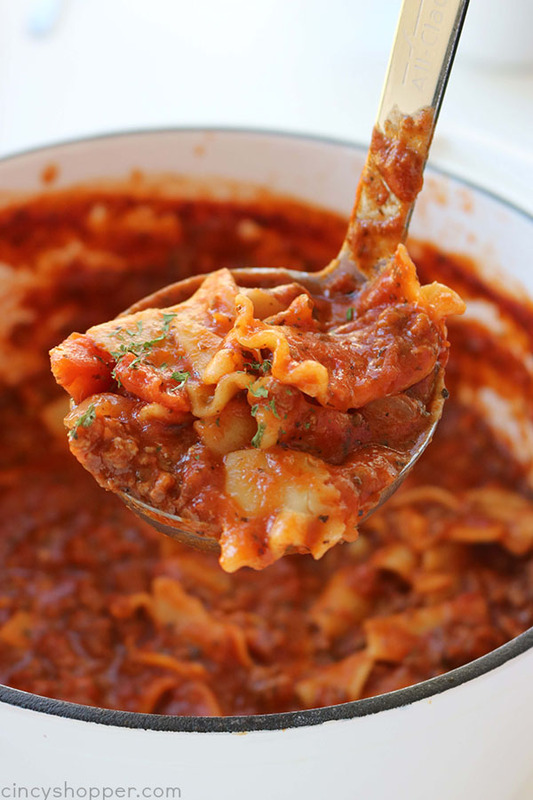 Just like traditional lasagna and our Lasagna Roll-ups, we load in the awesome Italian flavors with ground beef, lots of onion, and spices. 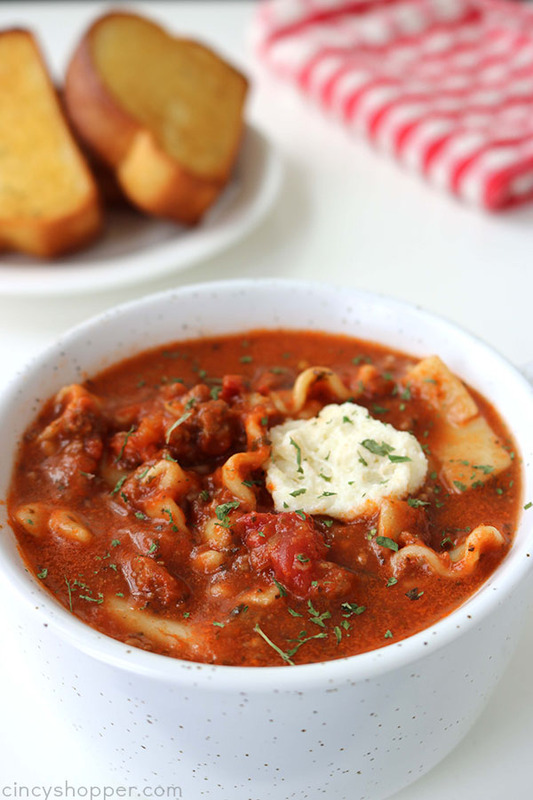 I serve our soup with some garlic bread and everyone loves it. We even had leftovers for lunch today. YUM! YUM! This ingredient picture makes it look like there is quite a bit to this recipe. There really isn’t. 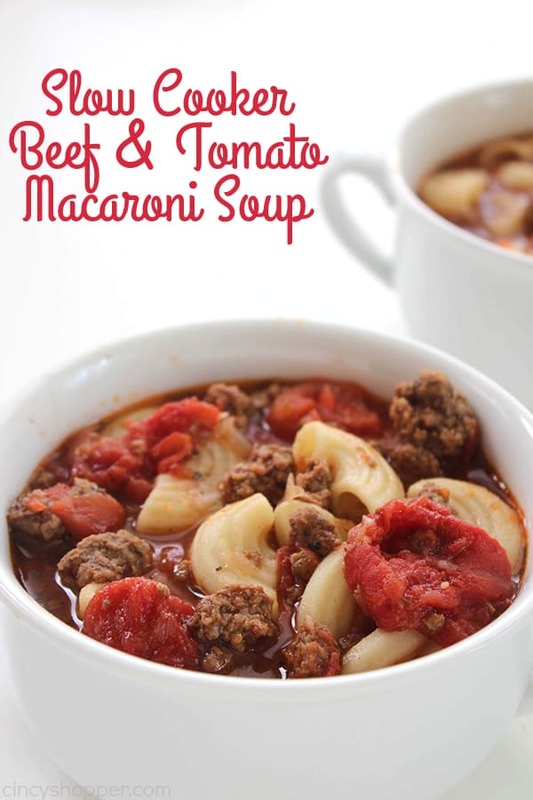 It is so super simple and can be made in a few minutes time making it perfect for a weeknight dinner. Note, the corn starch is not needed unless you need to thicken your soup a little. Brown ground beef in a large heavy pot over medium heat. Add garlic, onion and pepper flakes and cook 2-3 minutes. 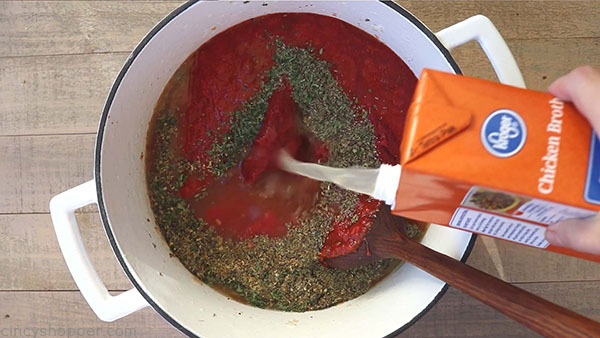 Add spaghetti sauce, crushed tomatoes, tomato paste, sugar, spices and chicken broth. Bring to a boil then reduce to a simmer, stirring occasionally for 1 hour. Mix cheeses together and garnish each serving with a dollop. 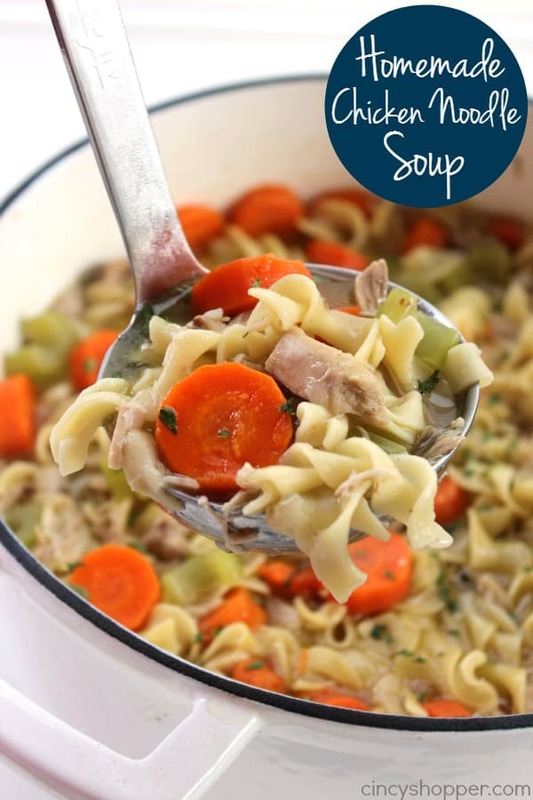 Do you have a favorite winter soup? To anyone thinking about making this…do it! It was sooooo good! 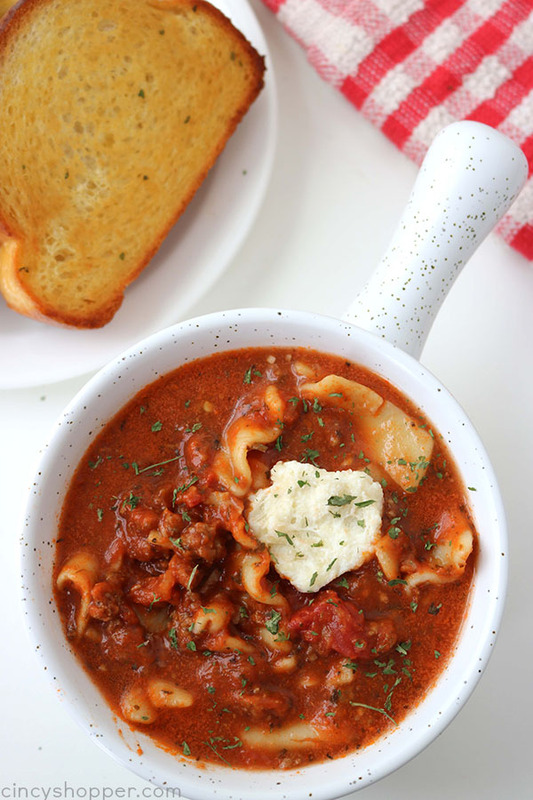 This lasagna soup looks DELISH. 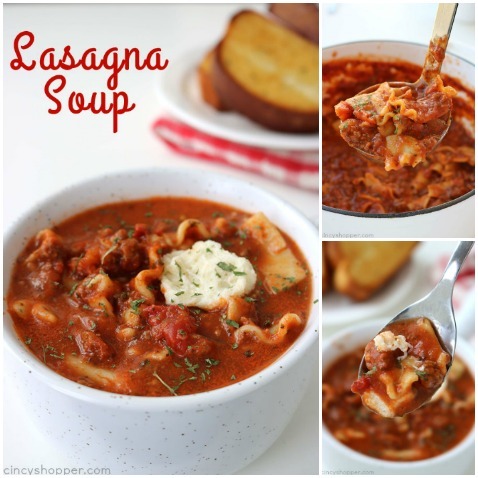 I love lasagna, but I’ve never made the soup variety! I need to try asap!